I'm back with another brand new pattern that I got the chance to test last week! 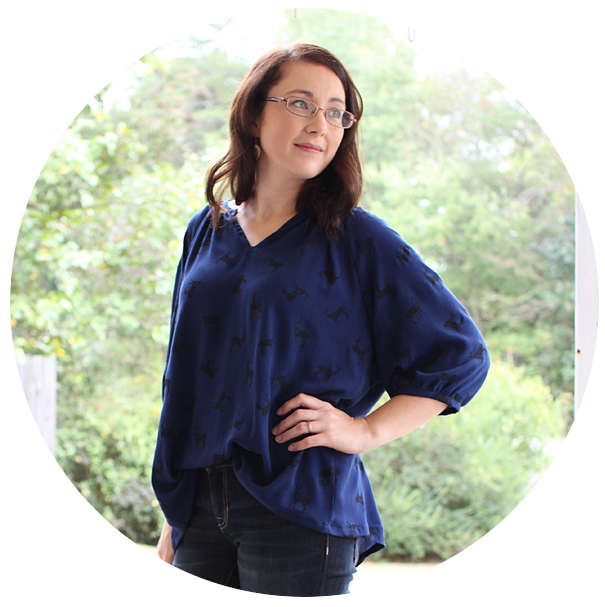 This is a goody, the Bryant Dolman from Straight Stitch Designs. I love all of Kimberly's patterns and have made quite a few. This one is no exception! 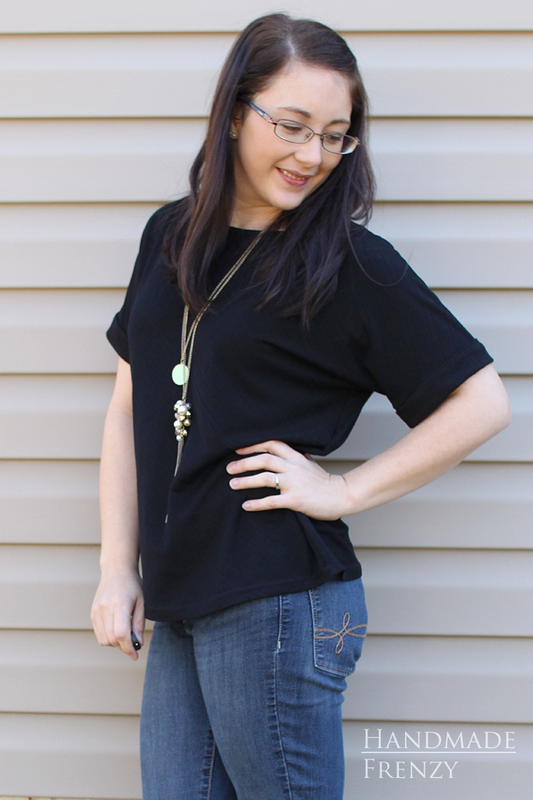 It's an easy, relaxed fit dolman top with a fun twist. The pattern is designed for knits and is cut on the bias. 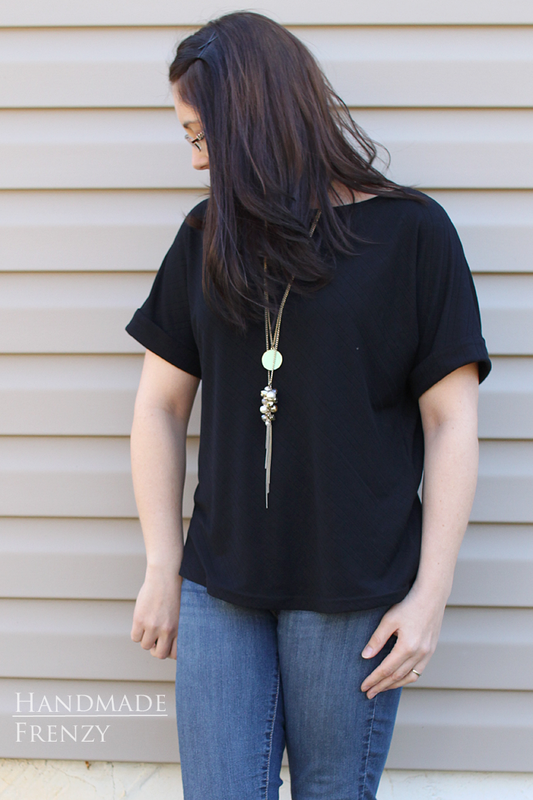 If you love stripes like I do, subtle or not, this adds a fun detail! 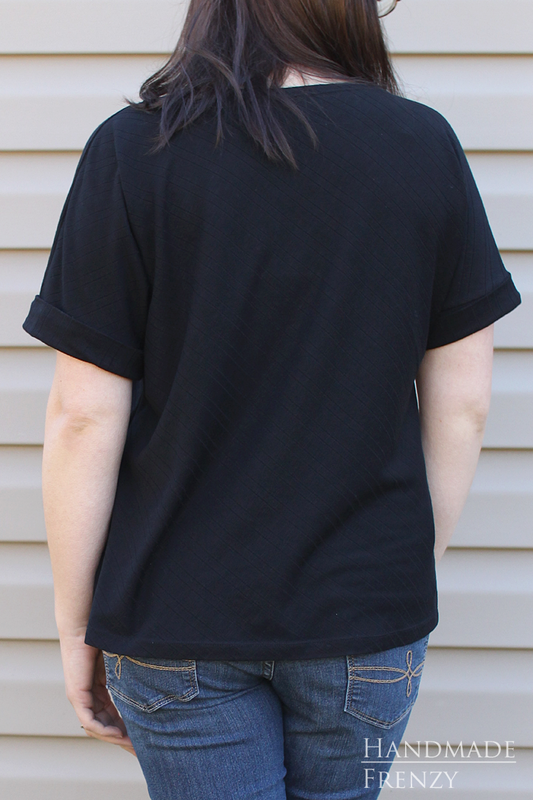 The pattern includes a boatneck neckline, is intended to be hip length and includes options for short sleeves with a cuff or full sleeves. All of Kimberly's patterns are drafted for a height of 5'9", being 5'3" myself, I typically shorten her patterns. I've shortened this one 3 inches and I'm loving the result! I chose to make mine with the short sleeves and cuff because I *thought* spring was here. Now I'm sitting here shivering in my cozy warm clothes as I write this. 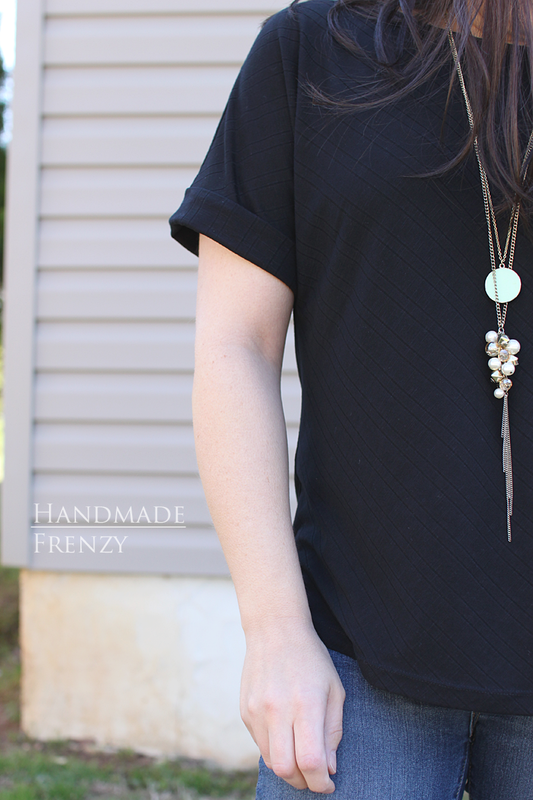 Regardless, spring WILL come soon, and I'll be prepared for it in my new easy to wear top! 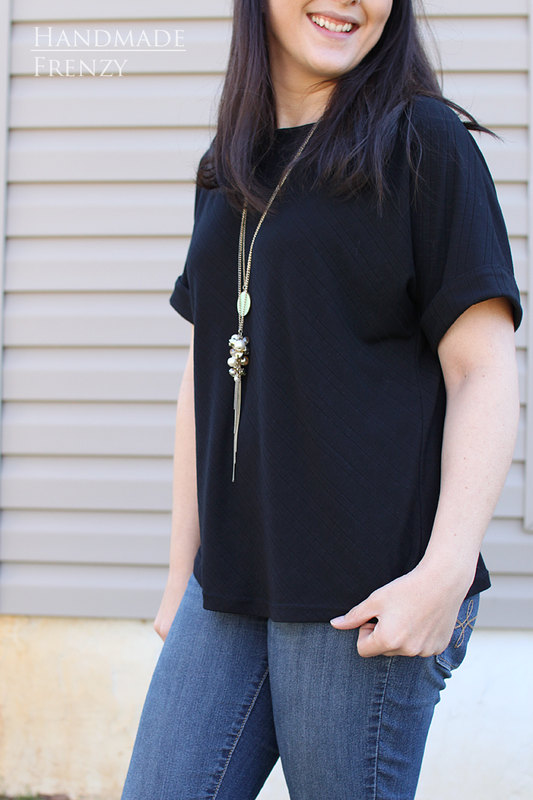 I made this top with a slub ribbed knit from Joann's. 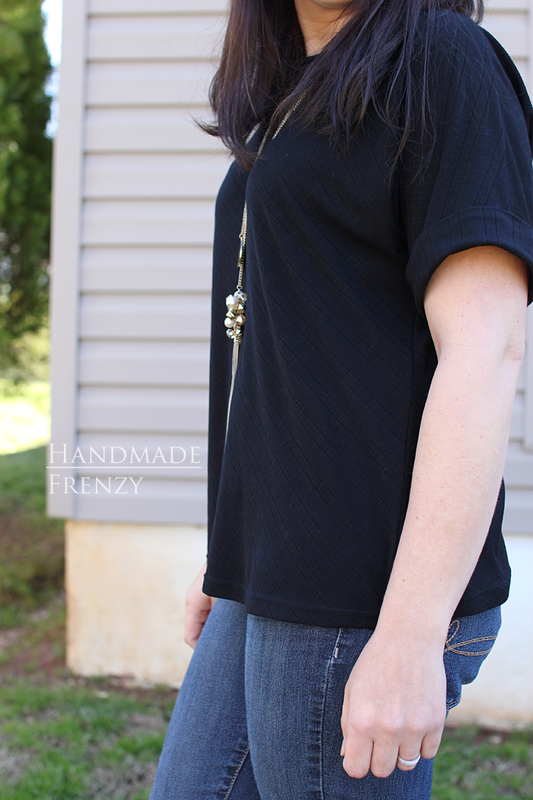 I love the subtle stripe detail in this fabric and how cutting it on the bias added another layer of interest. 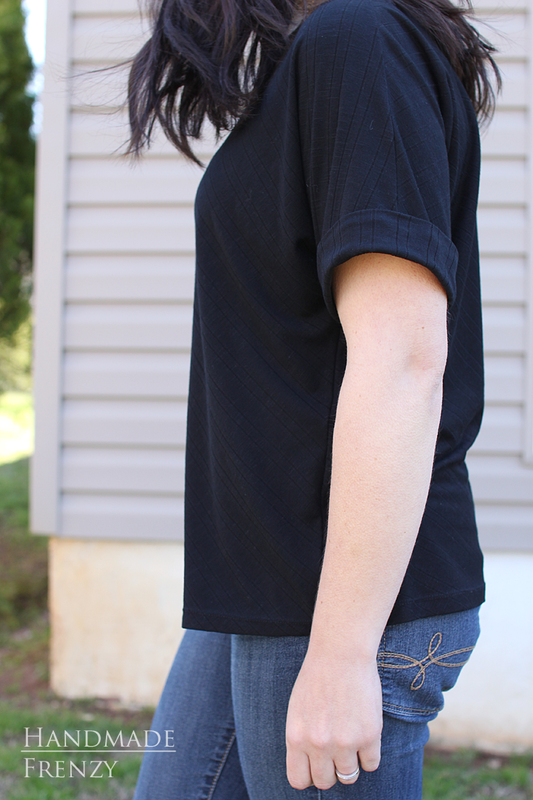 During testing, this pattern was made up in a huge variety of knits that produced many different looks! It will be fun to play around with and come up with some different looking tops all from the same pattern. My personal favorites are the more structured knits with less stretch. Like this one for example, which is lightweight, but not super stretchy and holds it's shape well. I especially love Kimberly's French Terry versions, I'm sure a few of those will find their way into my closet. There were also a few (myself included) who were curious how this pattern would turn out in a woven fabric! I'll be sharing my version of that one tomorrow. 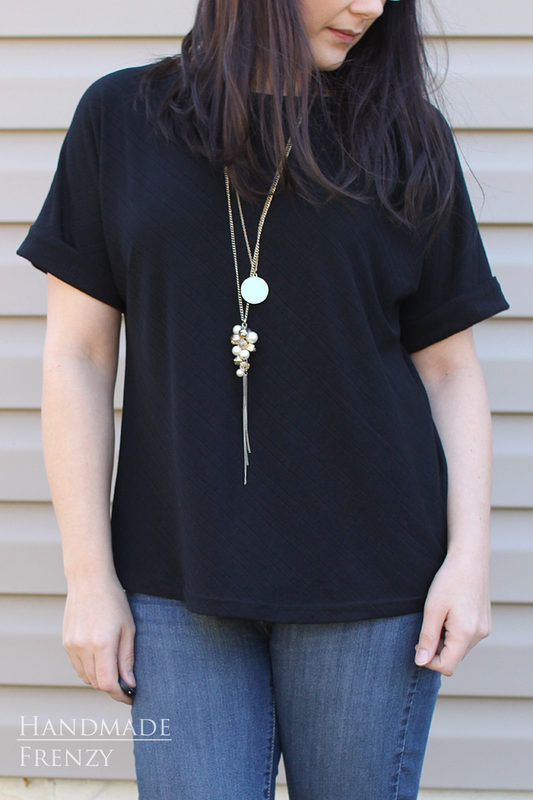 But for now, I'll leave you with a few more shots of my new favorite black tee! 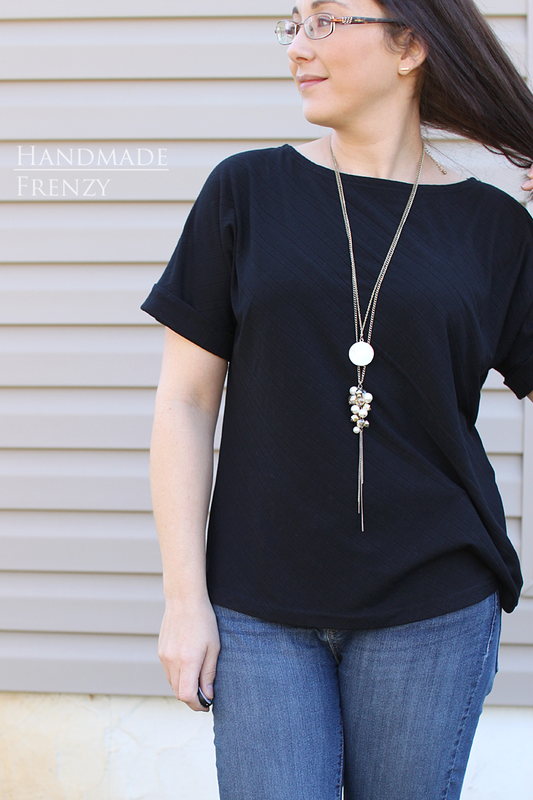 *After making this top, I realized I had no other solid black tops in my closet. What!? ?